Stills will present a two-person exhibition showcasing historically important work by Anna Atkins (1799-1871) and Margaret Watkins (1884-1969), who made pioneering photographic work in the 19th and 20th centuries respectively. All works will be on loan from collections in Scotland. 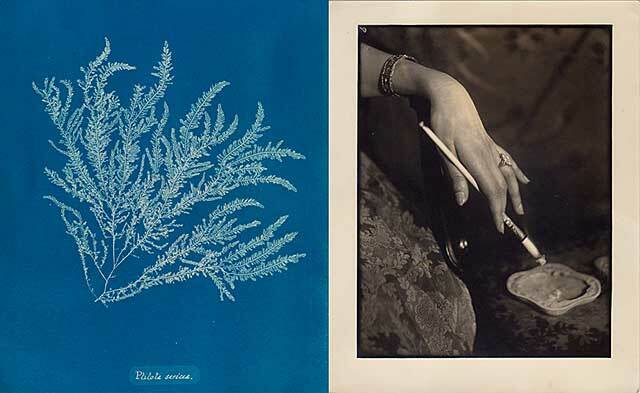 Anna Atkins’ name is synonymous with the cyanotype process. Her scientific botanical studies, made using the camera-less ’sun print’ technique, were informed by, and contributed to, the earliest experiments in photography in Britain. Margaret Watkins had a successful career as a photographer in the USA in the early 20th century. After relocating to Glasgow in the late 1920s she continued to use a camera but her work became largely forgotten until her death in 1969. This will be the first exhibition in Edinburgh of her advertising images. Margaret Watkins 'Hand Cigarette Holder (Myers Gloves)’ 1924, © and courtesy Joseph Mulholland.